Thinking of starting your own brewery? Then part two of our series featuring advice from people already in the beer industry is for you. 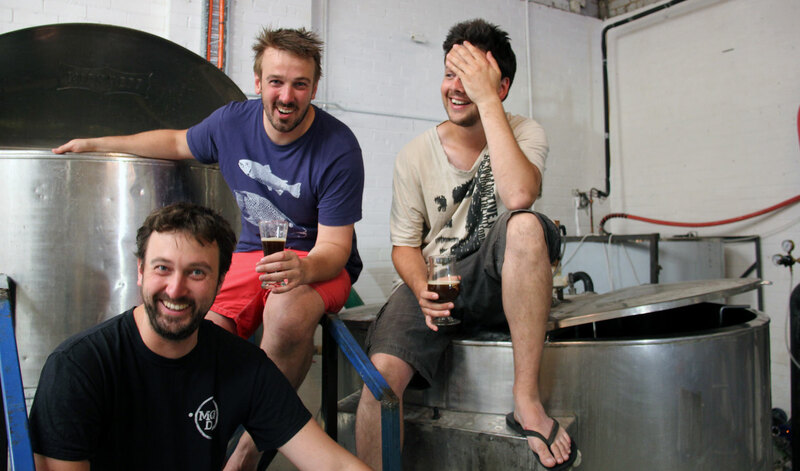 Last week, we brought you the top tips from five brewers at different stages of their brewing careers: two who have just started, one gypsy brewer and two with more than 15 years on the clock. You can read that article here. Clearly, there is more to the industry than just brewers and their beer, however. So, today, we've collated the thoughts of six people with different roles within the Australian beer industry. They are a craft beer bar owner, a sales rep, a lawyer, the owner of a contract facility whose company also helps build breweries, an ingredient and keg supplier and a brewery equipment supplier. Taken together, the two articles cover a lot of ground and will hopefully help prospective brewers understand better what lies ahead and what they are letting themselves in for. If you would like to learn more, The Crafty Pint is hosting a Good Beer Week brewery startup panel in the Cryermalt Trade Hub, upstairs at the Festival Hub at Beer DeLuxe Fed Square, on May 20. Half a dozen industry experts will be there to offer their insights and answer your questions. You can register your interest here. Corey has more than two decades of hospitality experience and comes from a family with more than 100 years in the industry. He's been involved in craft beer via sales and distribution and then operating venues for the last nine years. 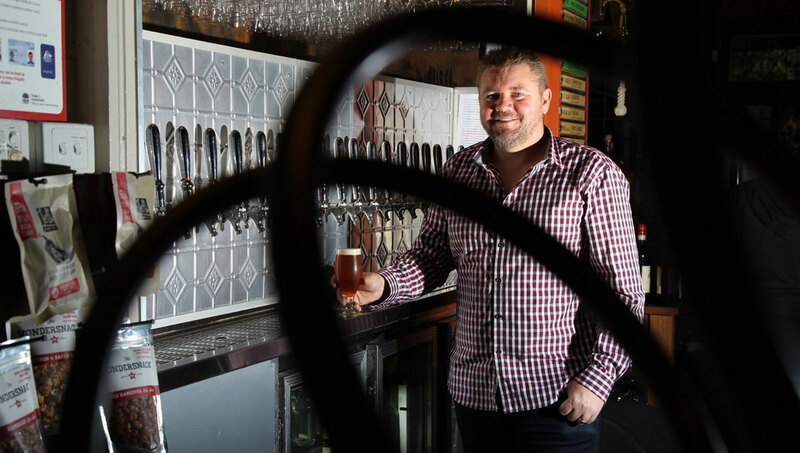 He's played a key role in establishing the craft beer scene in Newcastle, launching Newcastle Craft Beer Week and running the Grain Store with his wife, a venue that pours nothing but independently owned Australian craft beer through its 20 taps. 1. Getting logistics at competitive prices and being transparent with your customer as to what these charges will be. There's nothing more annoying [as a venue owner] than ordering some kegs of beer around the 5 percent ABV mark only to have freight chucked on top of LUC and making the keg price come to around $420. This becomes part of the glass price, thus making that beer move extremely slowly and leaving the punter second guessing as to why the beer they just purchased is so expensive! 2. Ensuring your product is consistent and clean is absolutely paramount to long term success and early brand building. It also ties into my first point of logistics: there's no point keeping your beer fresh and cold at the brewery [only] to load them into the back of a ute in the middle of summer or send them off to a logistic company to have them sit on a hardstand for two days in the sun. Nothing will put your business in good stead for success more than having clean consistent good beer. 3. Branding can be as important as what's actually in the keg, particularly when getting that first time selection of a new beer. If your brand has a cheap / nasty feel to it, unfortunately that is the way the consumer feels about the brand as a whole; the reality may well be that your IPA is up there with the best in the land but unless you get that connection they may not pick it up in the first place. 4. Don't make things overly complicated ie credit apps, account reconciliation, terms etc. We are now fortunate to now have plenty of (good beer) choices in the marketplace; if it becomes too difficult or frustrating when doing business with you, no matter how good the product is some venue operators will just go for easier options. 5. Lastly, get to know front of house staff. This is something that I feel is extremely important if you or your reps have the ability to do so: load our staff with information (knowledge is power) as that they can influence what people choose to drink more than anyone else. I would say 65 to 70 percent of the customers that approach the bar at the Grain Store either have not yet made up their mind as what they want to drink next or are open to advice and suggestions to what is to be next in their glass. This relationship building can be the difference between your new keg of Saison moving in two days or 14 days; the influence is truly that great. From underage waiter, via the army, to becoming head chef at the then just opened James Squire Brewhouse in Melbourne, Mik (second from right) has been around beer in one form or another most of his life. At the Brewhouse, the brewers got him tasting, drinking and talking beer, which led to beer matching and cooking with beer. Later, he ran a country pub, changing the beer list from eight macro beers to 85 local and international brews, before returning to Melbourne to run Beer Deluxe in its early years then becoming a rep for Trumer Pils and BridgePort. 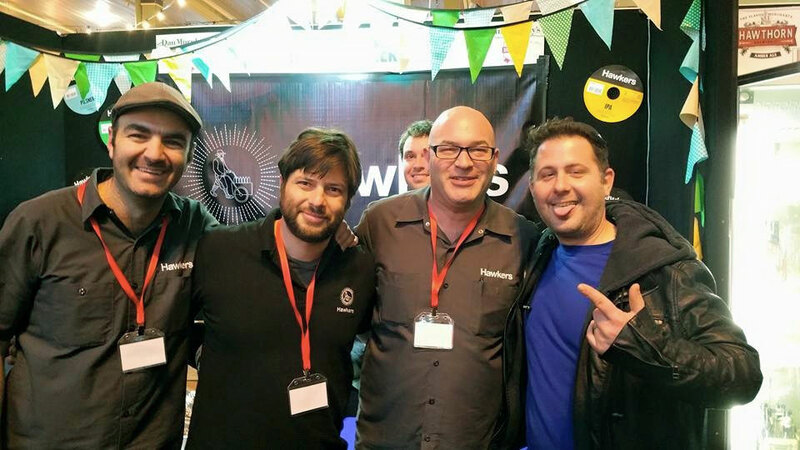 He joined Hawkers Beer to head up its sales team before they'd even found a brewery site and has played a key role in the Reservoir brewery becoming one of the biggest independents in Australia in little more than a year. 1. Know your product. The market is smart. 2. Be proud of what you do, and who you are. Don't sell yourself or your product down. 3. Look outside the box for customers. The local bottleshop or bowls club may only have macro, but they could be open to your beer. 4. Be persistent. A no sometimes may mean: "Come back next week." 5. Local rules! It would be great to be in a bar in NYC or London, but the local pub and bottlo will support you longer. Concentrate on your own town or region first. Jake (bottom left) is a director and one of the co-founders of Moon Dog Craft Brewery. By day, he is a senior dispute resolution / litigation lawyer at a national commercial law firm. He has also previously served on the board of the CBIA (Craft Beer Industry Association). A brewery is a business, albeit (potentially) a fun and delicious business. Treat it accordingly. Prepare a proper and realistic business plan. Try to imagine your brewery as it will be in several years’ time according to that plan. 1. Finances. Establish and maintain a good relationship with a bank. 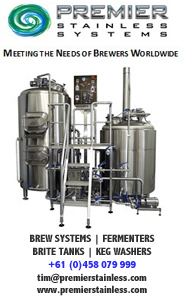 Brewery cash flow management can be challenging and you will need ready access to debt facilities from time to time. A brewery is a capital-intensive business, so consider early on what your capital requirements will be and ensure you have sufficient equity in the business to meet those requirements. Consider bringing in external investors to contribute capital if necessary. 2. Get the right people involved to assist / advise in the business early on. Get advice from and establish relationships with professional service providers (eg industry experienced accountants, lawyers, OH&S and employment/HR consultants) as appropriate. Don’t try and do everything yourself without external advice. Pitfalls can include failing to obtain all necessary permits and licences, non-compliance with excise reporting and payment obligations, inadvertently underpaying staff below award rates, having inadequate health and safety procedures in place, failing to ensure pressure vessels are WorkSafe certified / compliant etc. 3. Understand intellectual property rights. Much of the potential value of your business will be the goodwill associated with your brand, including your individual beer brands. Check that your proposed brand name and beers do not infringe existing trade marks before you invest substantial time and money into them. Engage a lawyer to register your most important trade marks, or do it yourself online. 4. Get on top of your back office functionality. If your brewery is successful, things can escalate quickly and if the right systems and processes (eg IT, payroll, sales, ordering, inventory and invoice management) are not already in place you run the risk of being unprepared and overwhelmed, with the business suffering accordingly. 5. Regulators / bureaucracy. You will need to navigate your way around various agencies, including the ATO for excise and tax, state government liquor and food safety bodies, and local government for planning permits. Some licences / permits can take a long time to be processed, so apply early and ensure your paperwork is in good order before you submit it to minimise requisitions and delays. 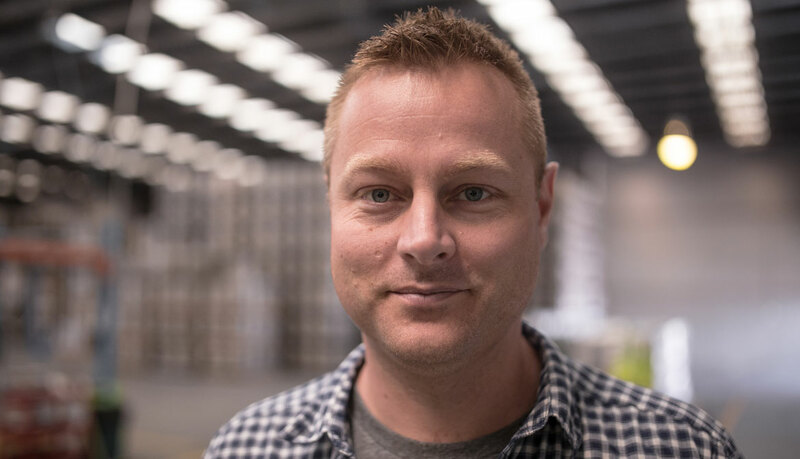 Phil Meddings is one of the second generation members of the family that runs Bintani Australia, a supplier of quality ingredients and equipment to Australia’s breweries. 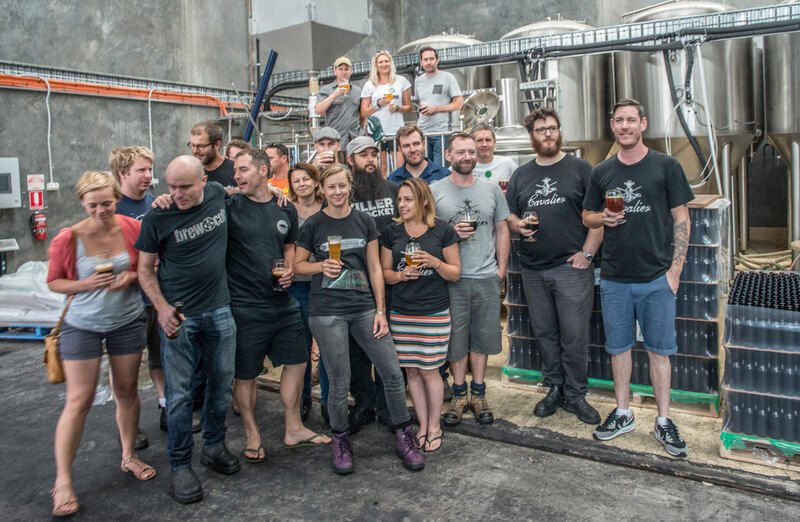 The Melbourne-based company works exclusively with some of the world’s leading growers and manufacturers to help brewers create the best Australian beer possible. Phil was also involved in the early years of Good Beer Week, helping the organising committee get the festival up and running. 1. The craft beer market is expanding but that doesn’t mean simply buying stainless steel will guarantee success. People are repeat buying craft beer due to the quality and flavour of the products, which directly results from the skill and hard work of the brewers. Any new brewer needs to be prepared to be flexible, work hard and make continuing investment to produce a quality product. 2. Good beer is not a commodity but a crafted product. So, to make good beer, it is very important to maintain quality relationships with all involved. From suppliers and employees through to distribution logistics and, of course, customers, who all play an important role in making sure your beer is as good as it can be. 3. Be flexible with your recipe development, particularly with regard to hops. Craft your beers around a flavour / character and style by using a blend of hops rather than one particular variety so that you’re not as exposed to availability issues. 4. Know your ingredients. Be familiar with Certificates of Analysis and inspecting goods as they’re used. This will mean you can take corrective action before your beer is impacted by things such as crop seasonality or quality issues. 5. Don’t ignore your kegs. They play a big part in the final quality of the beer in your customer’s glass. Keeping them clean and well serviced is critical to beer quality and saving money through trade complaints. Steve (fourth from right in grey Cavalier t-shirt) is one of the three founders of Cavalier Brewing, alongside his cousin and fellow engineer Andrew Cronin and Heath Shirtcliffe, who he met while both were walking their dogs. They started out on a 100 litre system, moved to gypsy brewing then built their own brewery, where they helped incubate a number of other brands, many of whom bought tank space there before going on to build their own breweries. As well as offering this contract facility at their own brewery, Cavalier has moved into sourcing, installing, commissioning and maintaining breweries for others, recently building the Bad Shepherd brewery in Cheltenham, where the control system, designed by Cavalier, has been put forward for an international award for excellence. 1. Cash flow is king. Brewing requires a lot of working capital since half the cost base is excise. It takes months for this money to come home again and be recycled. As such, ensure your war chest is well stocked. Contract breweries work on a COD basis. 2. Distribution is key. Focus on what you’re good at: brewing. Outsource sales and logistics wherever possible and don’t be afraid to pay up for it. Distributers will also pay you on time. 3. Quality is everything. Be clear about the fact that you are competing on quality not price. No one can make beer cheaper than Foster's. Don’t chase volume at the expense of margin. You’ll lose every time. 4. Commissioning a brewery is expensive and time consuming. Take your best estimate and double it. Anyone can source equipment from China. 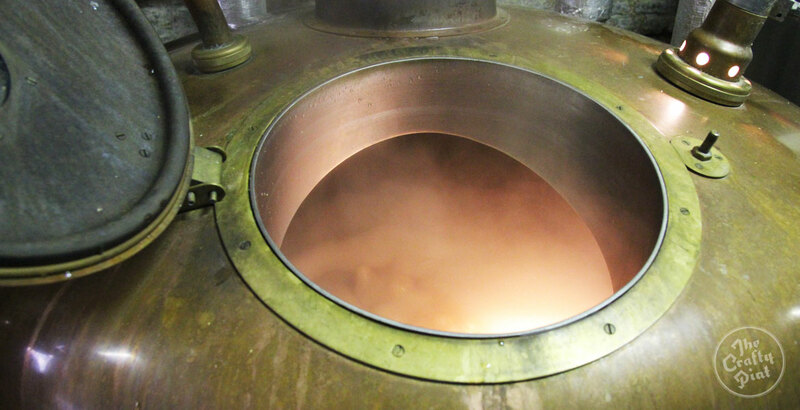 The real skill is putting it all together to make high quality beer in a reliable and repeatable fashion. Good trades people (hard to find) is the secret here. 5. Brand development is hard. It takes enormous energy and perseverance to design a good brand. It starts with an idea, then a trade mark, and ends with the user experience (drinking beer). There is a mountain of work to be done before you even think about putting beer in a tank. Your packaging (cartons, labels, baskets) must be organised before you brew. There are long lead times on branded packaging since artwork and samples all need to be proofed and approved then manufactured. Take your best estimate and triple it. 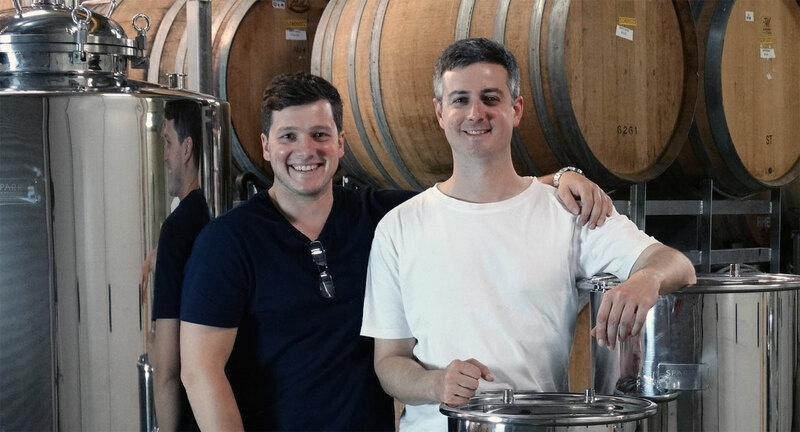 Julian (above right) is lead engineer of Spark Brew Engineering in Richmond, where he designs and builds brewery and distilleries around Australia. He is interested in the way brewing process control can benefit flavour in small batch brewing and wants to see more small, profitable brewing companies evolving Australian's respect for beer this century. 1. Top flight steel, cutting edge control and equipment finance are your friends. 2. Focus on building yourself a profitable brewing business, not just a brewery: reliability, local support and the smoothness of the brewery build up and launch are critical. 3. If you can brew excellent beer consistently, focus on selling beer: that is a key determinant of success that is strangely often overlooked by brewers going pro. 4. Develop an honest brand that is distinctive and reflects your personally and / or your location. Have something to say and say it clearly and consistently. 5. Include an on-site consumption aspect to your business model; it is invaluable as a brand touchpoint and for profitability at the beginning. And if you'd like to join us at the Good Beer Week panel, please register your interest here.